Love will be in the air and on the slopes this Spring at Tignes ski resort, when the ‘Love in Tignes’ event heats up the French Alps from April 22nd to April 26th 2017. Sponsored by Meetic, Europe’s largest online dating service, ‘Love in Tignes’ gives hopeful romantics the chance to meet their snow soul mate over four loved-up days of events and entertainment. There’s just something about the combination of high altitude and pumping adrenaline that seems to get hearts all a-flutter, and during ‘Love in Tignes’, the mountain is guaranteed to be filled with like-minded singles who can’t wait to meet someone they can shred the slopes with. Those looking for love will have plenty of opportunities to meet and mingle at a number of activities each day, including the very apt chairlift speed-dating. Chairlift speed-dating puts an alpine spin on an old classic, where potential partners are paired up by their age and ability, and ride the chairlift together. The duos get to spend some quality one-on-one time as they ascend the mountain, hopefully finding love through a mutual passion for powder. If cupid’s arrow strikes the parka-clad pair, they can then spend the rest of the day hitting the slopes together. However, if the two don’t quite fit like a glove and find their feelings to be a little frosty, they can simply part ways and head back down to the bottom of the chair to try their hand at budding romance once again. Other events taking place during ‘Love in Tignes’ include mountain top dates, DJ dance parties on the slopes, an on-piste buffet, sports tournaments held at the Tignespace Sports Centre, and themed soirees each night, such as pool parties, Bora Bora parties, and casino parties. On arrival, each attendee will be met with a personalized welcome reception by Meetic to help kick-start their journey towards finding their perfect match on the mountain. Tickets to ‘Love in Tignes’ start from €335 per person, which includes 4 night’s accommodation, breakfast, a 3-day ski pass to the Tignes and Val d’Isère region, 2 entries to the Le Lagon pool and wellness centre, plus an event pass which gives you full access to all the parties, entertainment and many surprises on offer during the event. Ski and snowboard rentals can be included at an additional fee. When booking your accommodation for this event, be sure to keep in mind that Tignes is made up of five villages of varying altitudes – and varying ambiences. Although the villages are quite spread out from one another, they are easily navigated via a free shuttle bus service. The best place to stay for most visitors is Tignes-Le-Lac, located in the main valley of Tignes. It boasts a small hub of shops and restaurants, and is home to Le Lagon, the resort’s indoor pool. All ‘Love in Tignes’ attendees receive two free entries to Le Lagon as part of their package. As you search for your soul mate on the slopes, there’s a fair chance you’ll fall in love with Tignes’ epic and adventurous terrain along the way! Poised at the altitude of 6889ft, Tignes offers enviable snow coverage and great skiing conditions all season – as well as for six weeks during the summer, with the Grand Motte Glacier open from late June to early August. 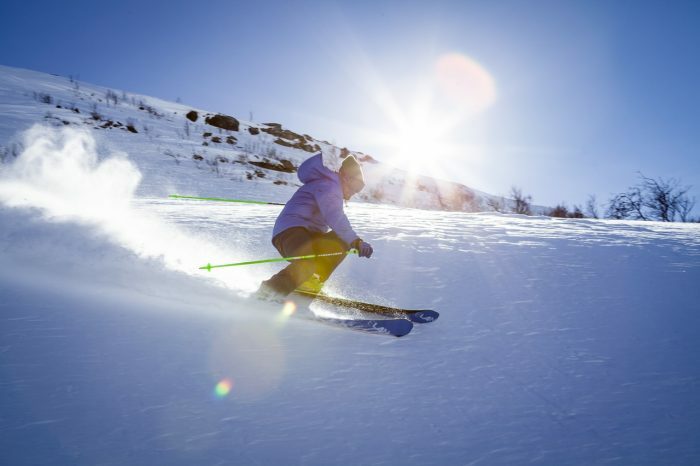 Tignes shares its vast ski area with the neighboring resort, Val d’Isère, so visitors can ski between both and enjoy a seemingly endless 300km of piste skiing for all ability levels, serviced by 78 lifts. Tignes is famous for its plethora of powder runs, such as Vallons de la Sache, Lognan, and the infamous Mickey’s Ears, which are all accessible by lift – no hiking required! Powder-seekers are bound to fall head over heels for the region, as they are blessed with untouched lines and fresh tracks at their feet almost every day. After getting your heart racing both on and off the slopes, you’re bound to work up quite an appetite (and thirst!). For a well-deserved après-ski tipple, visit the popular SoBar in Le Lavachet, or catch some live music over at pint at Marmot Arms in Tignes-Le-Lac. La Folie Douce is one of Tignes’ most famous après-ski bars, known as the place to party on the piste. Tignes may not be the gastronomical capital of the French Alps, but it is home to humble, honest, and traditional fare that is best enjoyed as a quick bite between runs or after a hard day on the hill. For authentic Savoyard specialties in the heart of Tignes-Le-Lac, try Restaurant La Montagne or L’Escale Blanche. 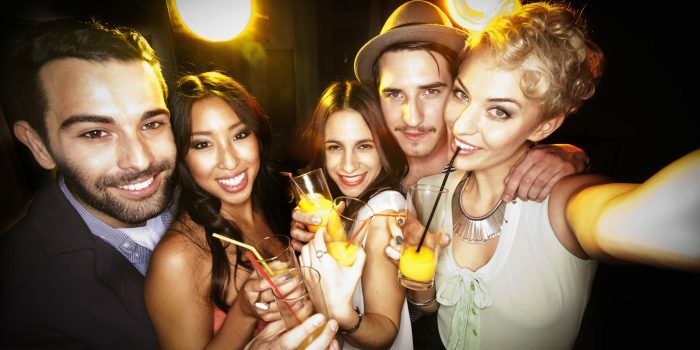 For after-dinner cocktails, head to Scotty’s in Le Lavachet, and then dance the night away in Val Claret at Le Melting Pot or La Blue Girl nightclubs. So, why not head to Tignes this Spring and feel the love! Make your reservation for ‘Love in Tignes’ via the Tignes website, Meetic website, or with Vtr Voyages.